The B17 series is the most popular of Brooks sporty models. 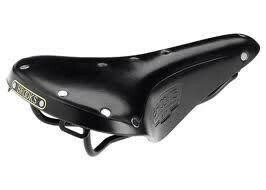 They are an excellent choice for touring, century rides, ultra-marathon rides and other demanding types of cycling. 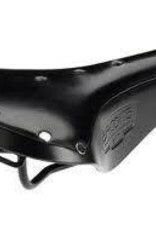 The B17 is most appropriate for cyclists who set their handlebars about the same height as their saddles, or a bit lower. All of the B17 models feature bag loops to permit the use of a traditional English-style touring bag.